The String Faculty provides a vibrant and exciting environment in which to learn, with courses tailored to meet the needs of each student. Students are accepted from 7 years of age for 'Cello. 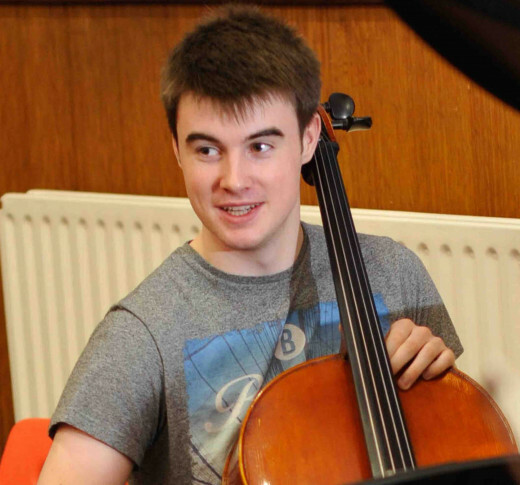 Limerick School of Music is always eager to encourage young 'Cello players as these musicians will go on to become the power house of many orchestras and ensembles. Many of our students, both past and present, can regularly be seen performing at a national level. In addition to participating in the school’s orchestras, cello students can be part of the dedicated Cello ensemble. The String Faculty provides a vibrant and exciting environment in which to learn, with courses tailored to meet the needs of each student. 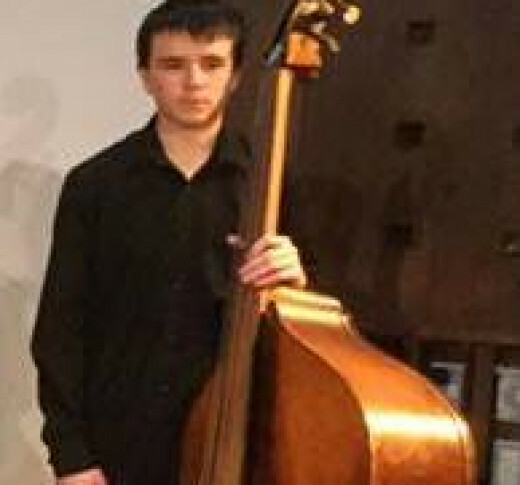 Students for Double Bass are accepted from 7 years of age Double Bass. We are eager to welcome young Double Bass players as these musicians will go on to become the "engine room" of many orchestras and indeed many jazz, Irish traditional pop and rock groups as is evident by the number of our students, both past and present, who can regularly be seen performing with many groups nationally. Students of Double Bass can easily transfer their skills to Electric Bass Guitar, thereby opening up great opportunities to explore all genres of music and collaborate with musicians of all styles! Limerick School of Music will accept students of Guitar from 7 years of age. Our Guitar course is classically based. Students are encouraged to follow a path of progress that will ultimately lead to their development as independently thinking and technically well-equipped guitarists. 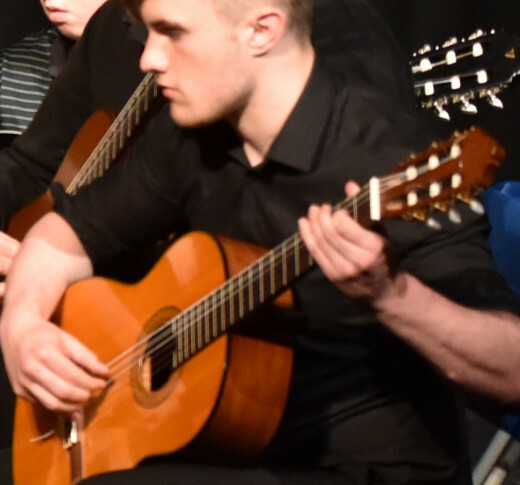 All Guitar students have the opportunity to be part of the Limerick School of Music Guitar Ensemble which provides an excellent and enjoyable support to their studies. Students are accepted from 4 years of age for Viola lessons. 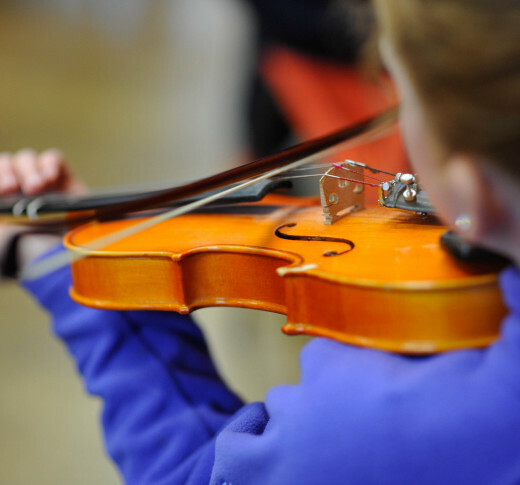 Young Viola students usually commence lessons in a group setting (if feasible) whereby two or three students of similar age start learning as a group. As these young students progress they are then streamed into individual lessons. We would encourage students to think about learning Viola as you will always be in demand for orchestras and ensembles! 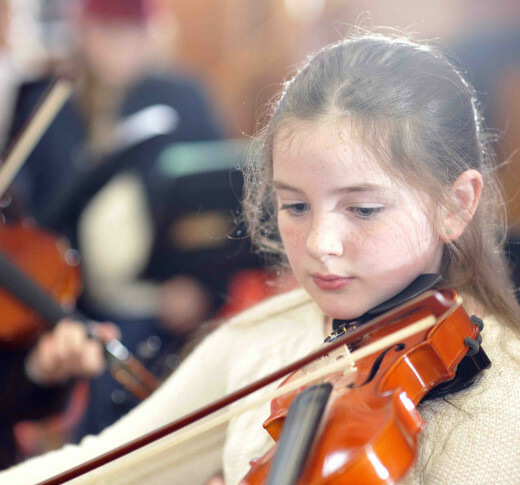 The String Department provides a vibrant and exciting environment in which to learn, with courses tailored to meet the needs of each student. .
Students are accepted from 4 years of age for Violin lessons. Young Violin students usually commence lessons in a group setting whereby two or three students of similar age start learning as a group. As these young students progress they are then streamed into individual lessons. This method has proven to work extremely well, as is witnessed by the large numbers of young talented violinists who enjoy playing in our orchestras and chamber groups each week.